I love and use ginger in a variety of ways. 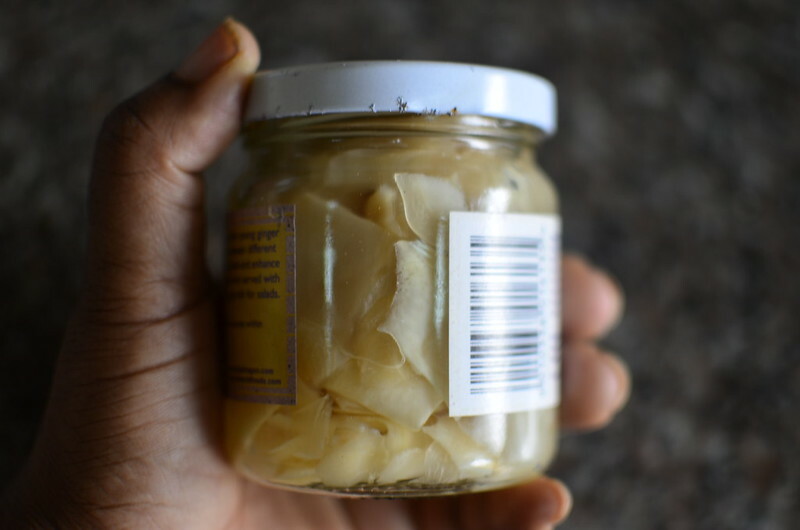 I always have fresh ginger at home. It is perfect for both sweet and savoury preparations. For sweet, I’ve explored a number of recipes – Confit, Jam, Candy. For savoury, all you need is a bit grated in stirfries and sauces, some pounded whole and popped into syrups for poaching fruit and the like. Quite often, I make a huge batch of ginger and garlic paste and freeze. 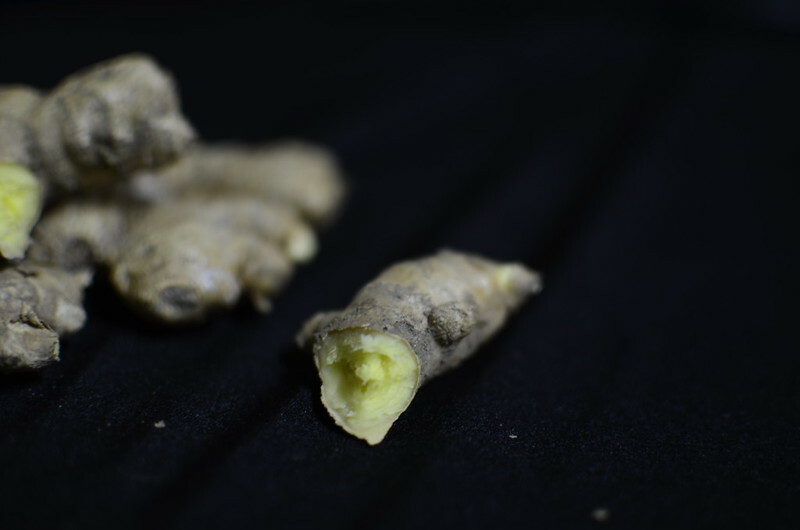 Use fresh young ginger – it will be easier to peel and will not be as ‘tough’ and fibrous as older ginger. 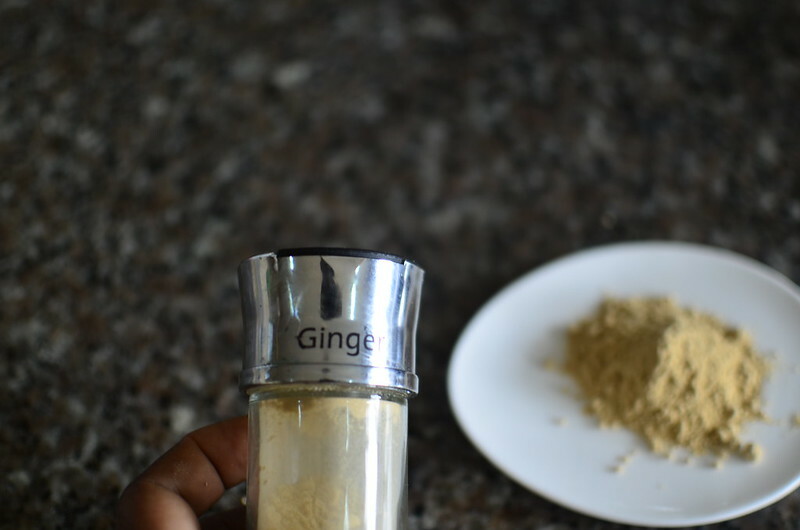 Use the back of a teaspoon to peel the ginger. The foundation of authentic Zobo. I love it in drinks and syrups, just like fresh. 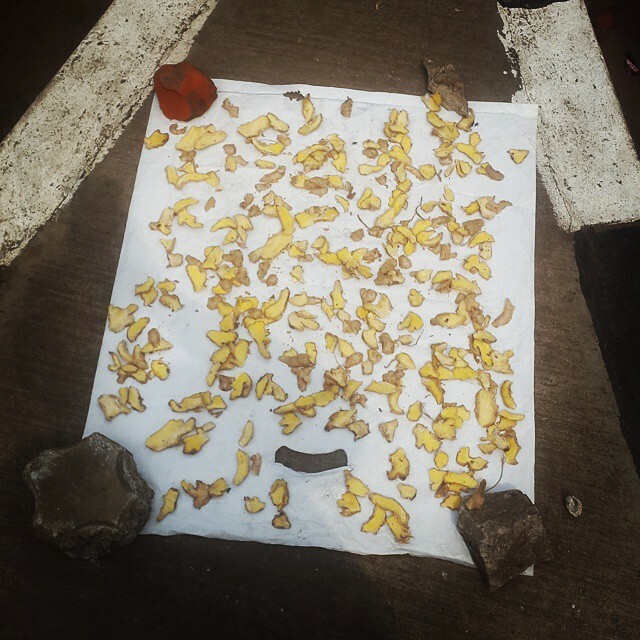 Use of dried ginger is something new to me – introduced by my friend from Northern Nigeria where ginger is plentiful and preserved by sun-drying. The rhizomes are washed and sliced, without peeling and spread out to dry. 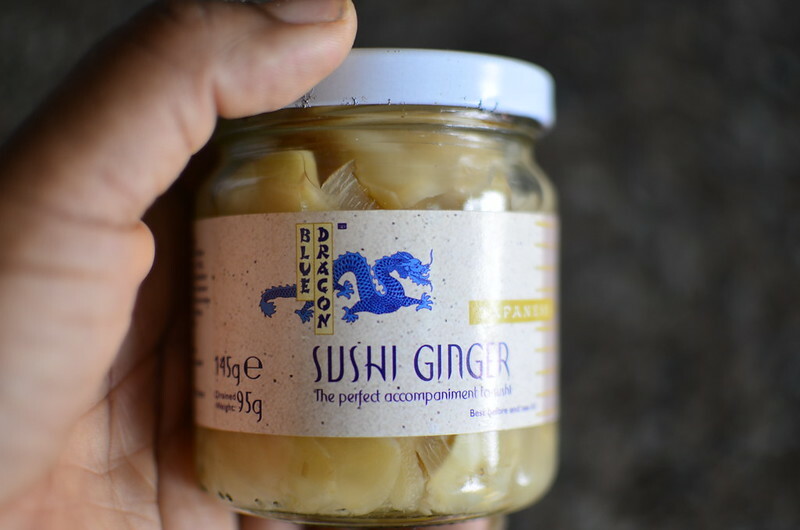 Also known as sushi ginger, this is made from peeled young ginger, sliced thinly and set in a sweet-sour solution of sugar and vinegar. Very common in Japanese cuisine, I love the fresh, cured taste in salads and with rice and stir-fries. 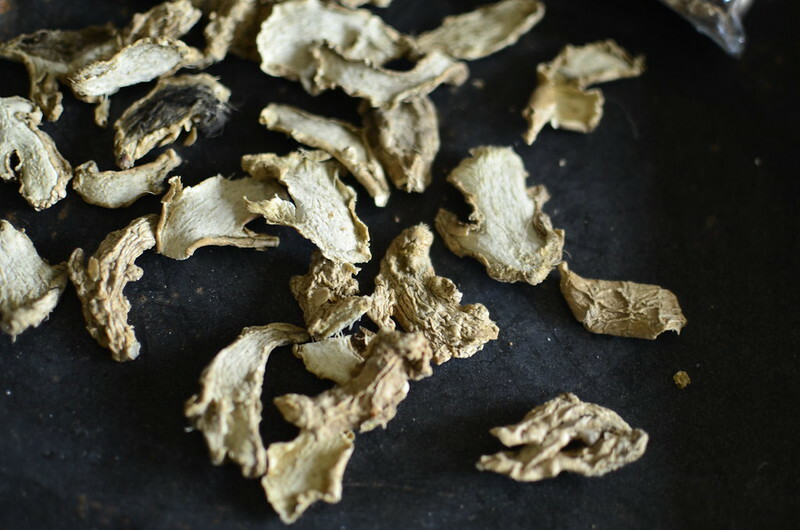 Great for batters and doughs, ginger powder is hot and fresh. I love it in fruit cakes and churros.